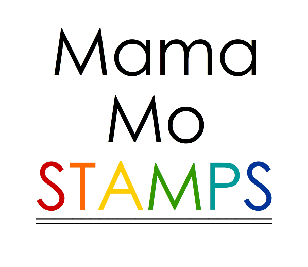 Mama Mo Stamps: Stamp of Approval Available NOW! 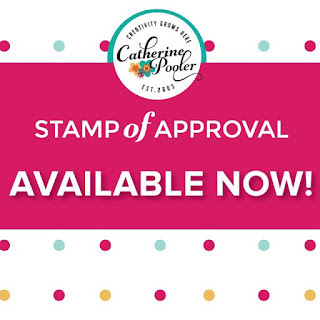 The Stamp of Approval Friendship Collection is now available for purchase. At 9AM it became available to StampNation members and at 10 to the entire Wait List! Hopefully you are on the wait list and have been notified of it's availability!!!! 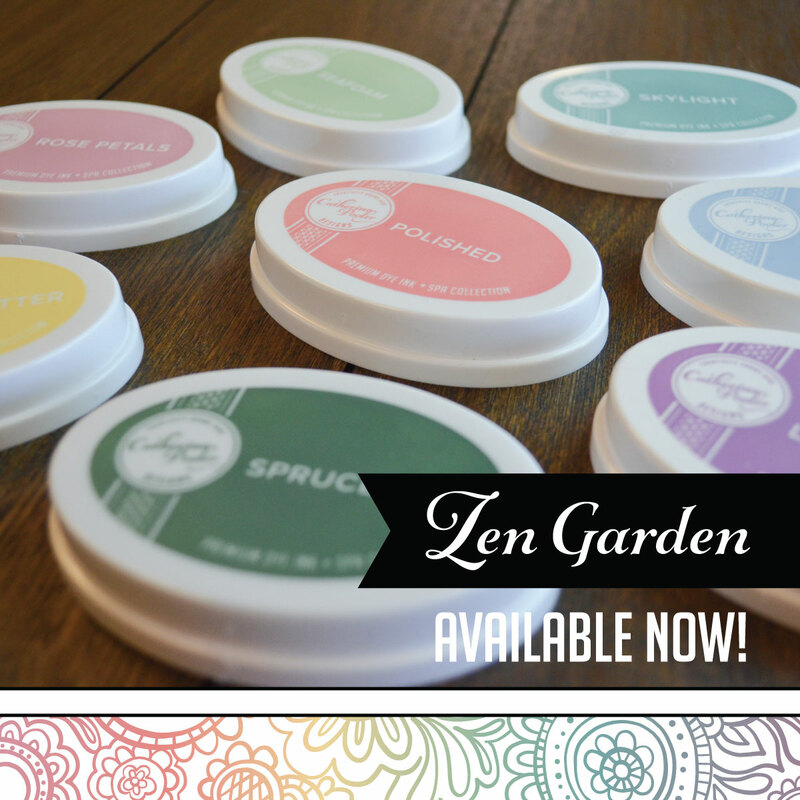 The Stamp of Approval sold out in just minutes after going live to the wait list! 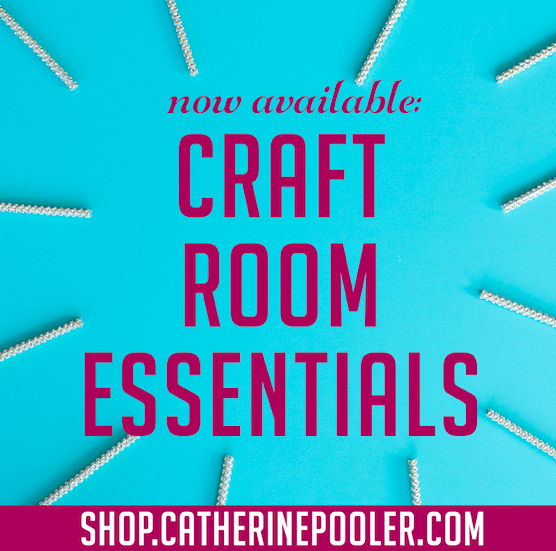 Catherine has REOPENED ordering with NO restrictions!!! Ordering will be open today until 2:00 PM EST! So go get your box now!!!! 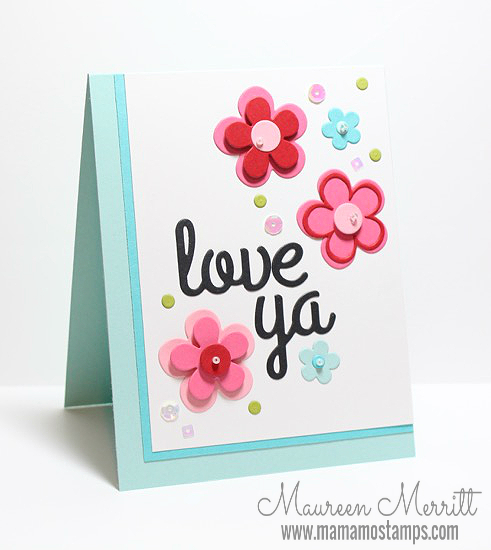 I'm stopping in today to share another card that I made with the SOA collection. My project uses no stamps and no ink! What? 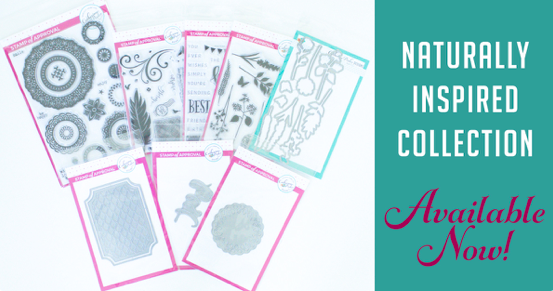 The Friendly Flowers Fri-Dies that you see here were designed exclusively for Stamp of Approval by Michelle Gross of CAS-ual Fridays Stamps. They will be available for purchase in 2016. 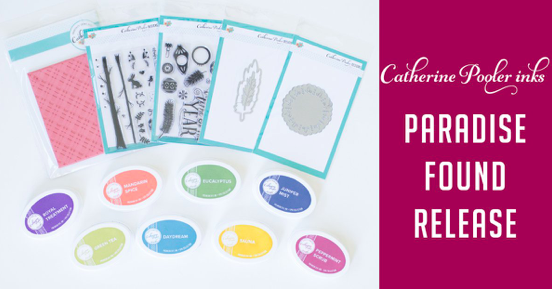 I had a blast playing with these products. I die cut the flowers from a variety of colored card stock and then assembled them. To add interest and variety to the flowers, some were adhered with liquid glue while others were adhered with dimensionals. 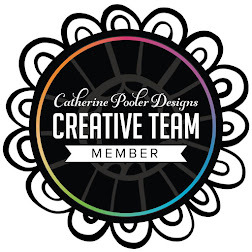 My sentiment was die cut from black card stock, then adhered to a white layer. The flowers were scattered across the panel as if they were falling from the top right to the bottom left. I then layered the panel on Hawaiian Shores card stock and placed it on an Aqua Mist card base. The final touch was some sequins and beads from the Bright White mix that is included in the box from Little Things by Lucy's Cards. Thanks so much for stopping by. 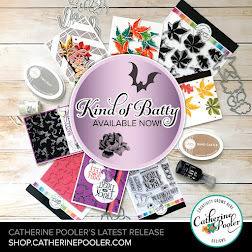 I have my fingers crossed that some you get your hands on the Stamp of Approval box!!! Good luck! 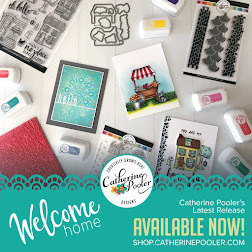 Make sure you stop by Catherine's blog for more inspiration using the Stamp of Approval Friendship Collection. As well as Laura, Laurel and Heather! 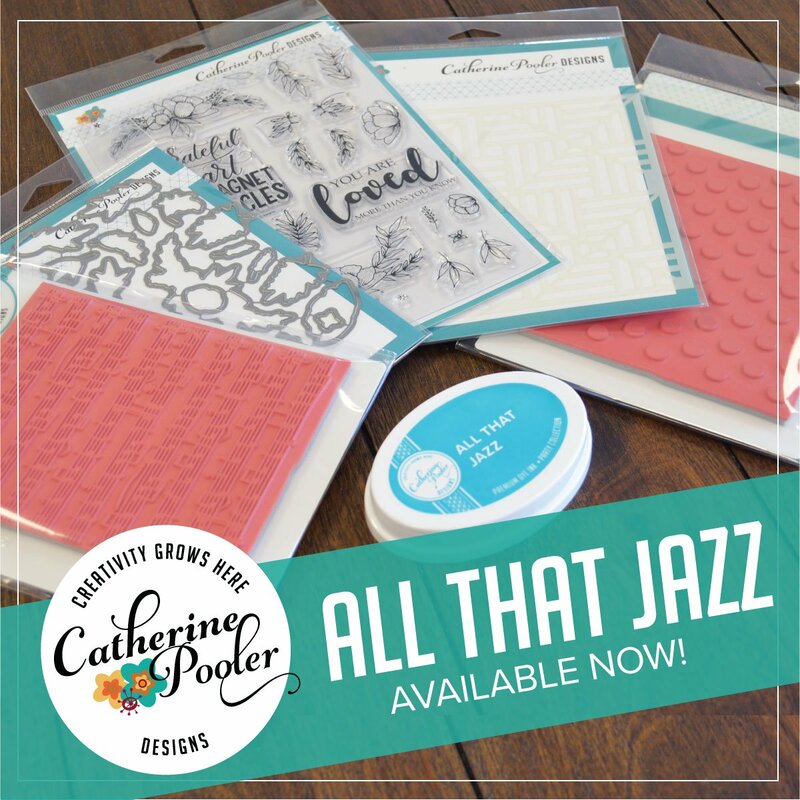 Love this card and cannot wait to get my Stamp of Approval goodies!